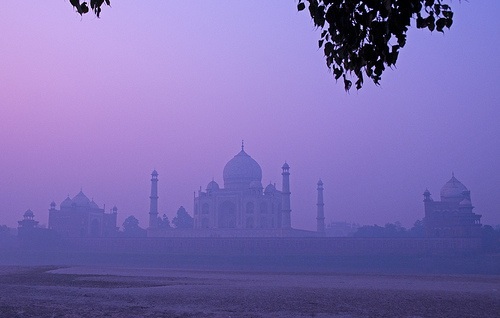 Government officials in the Indian city of Agra, home to the Taj Mahal, have just approved plans to build 2,000 Kwp of solar capacity in the city, a step that will put the former capital on track to becoming the country’s first solar city. The 2,000 Kwp plan will only cover about 10% of current consumption demand, but will be able to provide 1.5 million gallons of heated water daily, 6,400 solar street lights, 4,600 solar cookers, and 20 solar traffic lights. 30% of the energy will come from solar water heating in homes, and another 35% will come from domestic energy efficiency changes, such as upgrading refrigerators and phasing out the use of incandescent light bulbs. The budget for this project is around $100 million, with 70% coming from the private sector and 27% from the government. This will support the installation of necessary technology and complementary energy efficiency schemes. Agra isn’t the only part of India with clean energy ambitions. There is a national plan to reach 1172 megawatts of solar energy by 2016, and the state of Uttar Pradesh plans to produce 500 megawatts of solar by 2017. Andhra Pradesh, a southern state, is set to become the first in the country to power its water pumping and street lights through a complex solar project. Believe it or not, Agra’s efforts are not entirely for the sake of the world’s climate, but for the sake of the Taj Mahal, which has been under threat from air pollution for years. Nearby coal stations converted to gas back in 1997, and a hospital was built specifically for respiratory disease victims. Fossil fuel-powered vehicles were also banned within several miles of the monument. Overall, around $44 million was spent to help clear up pollution. Regardless of the motivation behind it, solar energy goals are very good news, especially for a country that has doesn’t have very good grid infrastructure yet (see Massive India Power Blackout Hits Over 700 Million People, from last year), and could really benefit from cleaner sources like solar.